When will be Moveable Feast with Fine Cooking next episode air date? Is Moveable Feast with Fine Cooking renewed or cancelled? Where to countdown Moveable Feast with Fine Cooking air dates? Is Moveable Feast with Fine Cooking worth watching? Moveable Feast with Fine Cooking takes viewers on a culinary journey across America. 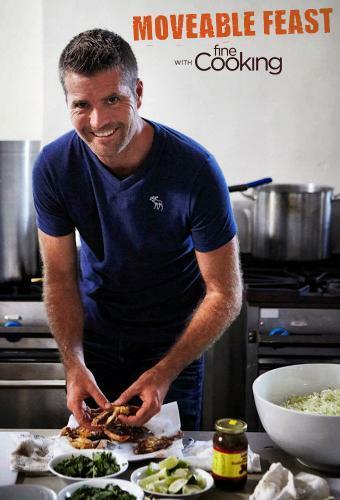 Our talented host, Pete Evans, teams up with the country's most innovative chefs and food artisans, who are known for their use of fresh regional ingredients, to create spontaneous delicious feasts in unique settings for friends and family that will inspire home cooks everywhere. Moveable Feast with Fine Cooking next episode air date provides TVMaze for you. EpisoDate.com is your TV show guide to Countdown Moveable Feast with Fine Cooking Episode Air Dates and to stay in touch with Moveable Feast with Fine Cooking next episode Air Date and your others favorite TV Shows. Add the shows you like to a "Watchlist" and let the site take it from there.